I seriously love her life! The Queen who would be King. The only female pharoah in the history of Egypt's ancient dynasty known to have ruled the longest reign. She dressed like a male pharoah would and eventually, dropped the female ending from her name ('t') and became His Majesty, Hatshepsu. 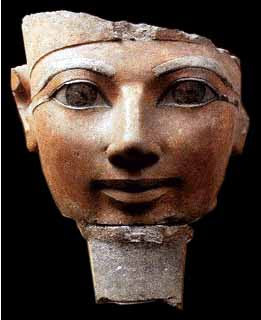 Queen Hatshepsut was the first great woman in recorded history: the forerunner of such figures as Cleopatra, Catherine the Great and Elizabeth I. 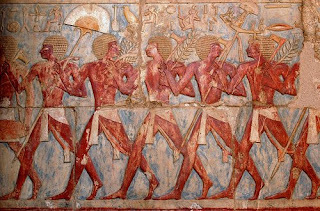 She was the first pharoah to venture out into the land of Punt and provide Egypt with incense, animals, animal skins, gum, gold, ivory and ebony.